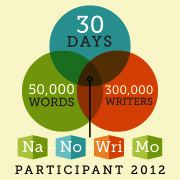 The NaNoWriMo challenge to write 50,000 words during November sounded like a good idea when I signed up; now the attraction is starting to fade just a tad. I’m almost up to 20,000 words which sounds good but I’m starting to slow up and I am now about 1,500 words behind schedule. My problem is I have to keep going back on myself and correcting errors in the storyline and spelling! Old timers to the challenge advise just writing. According to them it is a first draft, which sounds fine but I’m frightened I am just churning out meaningless words. Also the website at NanoWriMo keeps ‘going down’ I just worry that if, no wait when, I have achieved 50,000 words I wont be able to download them to the site and get my winners badge. But I suppose my dragon story is moving on apace and that is what I really wanted out of the challenge! So first draft mistakes must stay if I am to move on! ‘Well ladies,’ Dr Owain addressed Ruby and the girls, ‘I am afraid it isn’t good. Years of pipe smoking has taken its toll on the old boy, he’s interlobes are completely clogged up.’ Dr Owain noticed the girls frowning, ‘They are the tubes between his lungs and his fire breathing chambers, because they never fully developed in the faerie dragons they become a problem in later years. Not helped by his pipe smoking. I am afraid he has Intermonia. Sorry Ruby.’ Both girls looked toward Ruby who was now holding onto the back of a chair. ‘Sit her down quick she’s gone pale!’ Ellie remembered her first aid training and added ‘put her head between her knees’. This is a reprint of the earlier entry as the 'Guru' who lives up in the loft had a problem with his fail safe back up system!! !